Cissé, D., & Barrett, C. (2018). Estimating Development Resilience: A Conditional Moments-Based Approach. Journal of Development Economics, 135, 272-284. Fisher, E., Hellin, J., Greatrex, H., & Jensen, N. (2018). Index insurance and climate risk management: addressing social equity. Development Policy Review, (forthcoming). Jensen, N. D., Mude, A. G., & Barrett, C. B. (2018). How basis risk and spatiotemporal adverse selection influence demand for index insurance: Evidence from northern Kenya. Food Policy, 74, 172-198. Johnson, L., Wandera, B., Jensen, N., & Banerjee, R. (2018). Competing Expectations in an Index-Based Livestock Insurance Project. The Journal of Development Studies, 1-19. Kahiu, M. N., & Hanan, N. P. (2018). Estimation of Woody and Herbaceous Leaf Area Index in Sub-Saharan Africa Using MODIS Data. Journal of Geophysical Research: Biogeosciences, 123(1), 3-17. Liao, C., Clark, P., & DeGloria, S. (2018). Bush Encroachment Dynamics and Rangeland Management Implications in the Horn of Africa. Ecology and Evolution (in press). Liao, C., Clark, P. E., Shibia, M., & DeGloria, S. D. (2018). Spatiotemporal dynamics of cattle behavior and resource selection patterns on East African rangelands: evidence from GPS-tracking. International Journal of Geographical Information Science, 32(7), 1523-1540. Liao, C. (2018). Quantifying Multi-Scale Pastoral Mobility: Developing A Metrics System and Using GPS-Tracking Data for Evaluation. Journal of Arid Environments, 153, 88-97. Liao, C., & Clark, P. (2018). Rangeland Vegetation Diversity and Transition Pathways under Indigenous Pastoralist Management Regimes in Southern Ethiopia. Agriculture, Ecosystems & Environment, 215, 105-113. Liao, C. (2018). Modeling Herding Decision-Making in the Extensive Grazing System in Southern Ethiopia. Annals of American Association of Geographers, 108 (1): 260-276. Tafere, K., Barrett, C., Lentz, E., & Ayana, B. (2018). Insuring Well-Being? Buyer’s Remorse and Peace of Mind Effects from Insurance. American Journal of Agricultural Economics, (forthcoming). Takahashi, K., Barrett, C. B., & Ikegami, M. (2018). Does index insurance crowd in or crowd out informal risk sharing? Evidence from rural Ethiopia. American Journal of Agricultural Economics, (forthcoming). Bageant, E. R., & Barrett, C. B. (2017). Are There Gender Differences in Demand for Index-Based Livestock Insurance?. The Journal of Development Studies, 53(6), 932-952. Bauer, J. M., & Mburu, S. (2017). Effects of drought on child health in Marsabit District, Northern Kenya. Economics & Human Biology, 24, 74-79. Bauer, J.M.& Mburu, S. (2017). 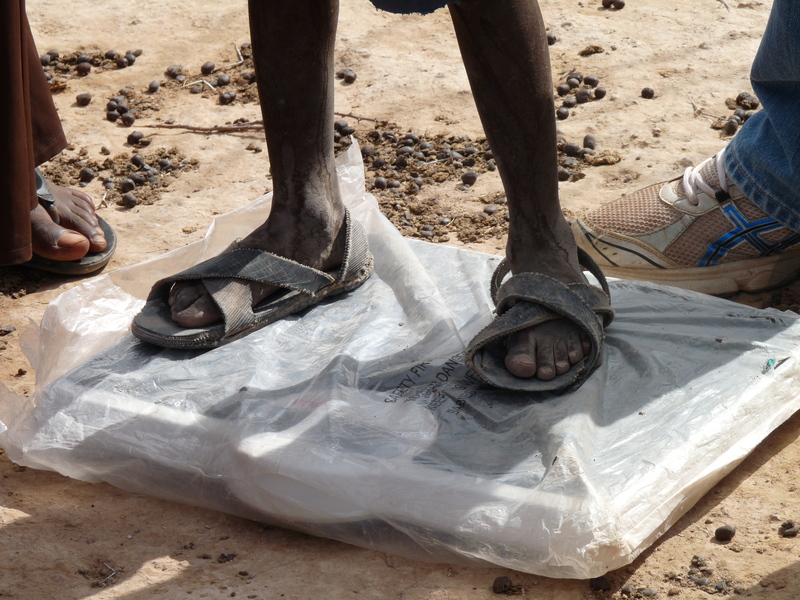 Effects of drought on child health in Marsabit District, Northern Kenya. Economics & Human Biology, Vol.24, pp.74–79. Liao, C., Clark, P., DeGloria, S., & Barrett, C. (2017). Complexity in the Spatial Utilization of Rangelands: Pastoral Mobility in Borana, Ethiopia. Applied Geography, 86, 208-219. Liao, C., & Fei, D. (2017). Pastoralist Adaptation Practices under Non-Governmental Development Interventions in Southern Ethiopia. The Rangeland Journal, 39 (2): 189-200. Jensen, N., & Barrett, C. (2017). Agricultural Index Insurance for Development. Applied Economic Perspectives and Policy, 39(2), 199-219. Jensen, N. D., Barrett, C. B., & Mude, A. G. (2017). Cash transfers and index insurance: A comparative impact analysis from northern Kenya. Journal of Development Economics, 129, 14-28. Jensen, N., Ikegami, M., & Mude, A. (2017). Integrating social protection strategies for improved impact: A comparative evaluation of cash transfers and index insurance in Kenya. The Geneva Papers on Risk and Insurance-Issues and Practice, 42(4), 675-707. Mburu, S. (2017). Effects of livestock herd migration on child schooling in Marsabit District, Kenya. Compare: A Journal of Comparative and International Education, 47(4), 545-560. Janzen, S. A., Jensen, N. D., & Mude, A. G. (2016). 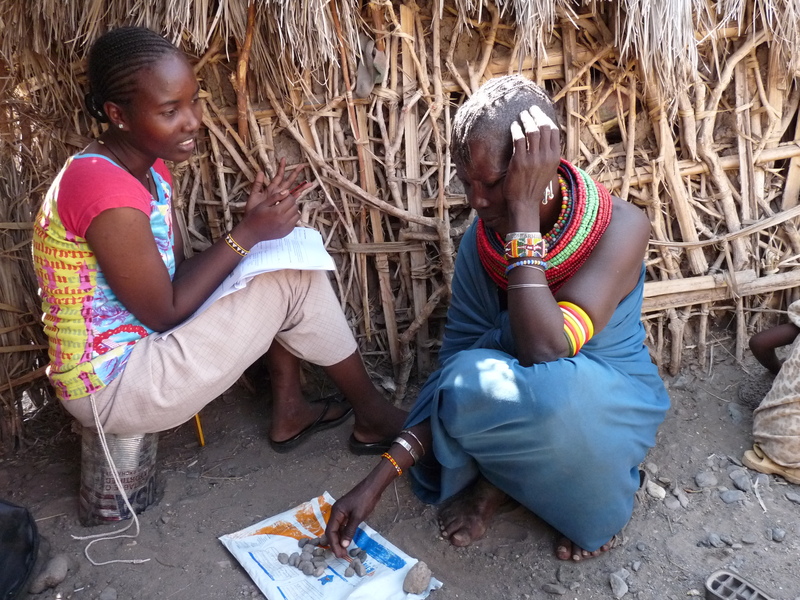 Targeted social protection in a pastoralist economy: case study from Kenya. Revue Scientifique et Technique-Office International des Epizooties, 35(2), 587-596. Jensen, N. D., Barrett, C. B., & Mude, A. G. (2016). Index insurance quality and basis risk: evidence from northern Kenya. American Journal of Agricultural Economics, 98(5), 1450-1469. Liao, C., Ruelle, M., & Kassam, K-A. (2016). Indigenous Ecological Knowledge as the Basis for Adaptation to Rangeland Vegetation Regime Shifts: Evidence from Pastoralist Communities in the Horn of Africa. Journal of Environmental Management, 182 (2016): 70-79. Liao, C., & Fei, D. (2016). Resilience of What to What: Evidence from Pastoral Contexts in East Africa and Central Asia. Resilience: International Policies, Practices and Discourses, 4 (1): 14-29. Mburu, S., Otterbach, S., Sousa-Poza, A., & Mude, A. (2017). Income and asset poverty among pastoralists in northern Kenya. The Journal of Development Studies, 53(6), 971-986. Pelletier B, Hickey G, Bothi K, & Mude, A. (2016). Linking Rural Livelihood Resilience and Food Security: an International Challenge. Food Security, 8: 469. Takahashi, K., Ikegami, M., Sheahan, M., & Barrett, C. B. (2016). Experimental evidence on the drivers of index-based livestock insurance demand in Southern Ethiopia. World Development, 78, 324-340. Upton, J. B., Cissé, J. D., & Barrett, C. B. (2016). Food security as resilience: reconciling definition and measurement. Agricultural Economics, 47(S1), 135-147. Woodard, J. D., Shee, A., & Mude, A. (2016). A Spatial Econometric Approach to Designing and Rating Scalable Index Insurance in the Presence of Missing Data. Geneva Papers on Risk and Insurance Issues and Practice, April, Volume 41, Issue 2, pp 259–279. Shee, A., Turvey, C. G., & Woodard, J. (2015). A field study for assessing risk-contingent credit for Kenyan pastoralists and dairy farmers. Agricultural Finance Review, 75(3), 330-348. De Leeuw, J., Vrieling, A., Shee, A., Atzberger, C., Hadgu, K. M., Biradar, C. M., … & Turvey, C. (2014). The potential and uptake of remote sensing in insurance: A review. Remote Sensing, 6(11), 10888-10912. Vrieling, A., Meroni, M., Shee, A., Mude, A. G., Woodard, J., de Bie, C. K., & Rembold, F. (2014). Historical extension of operational NDVI products for livestock insurance in Kenya. International Journal of Applied Earth Observation and Geoinformation, 28, 238-251. Chantarat, S., Mude, A. G., Barrett, C. B., & Carter, M. R. (2013). 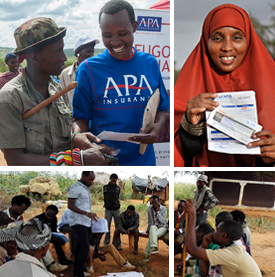 Designing index‐based livestock insurance for managing asset risk in northern Kenya. Journal of Risk and Insurance, 80(1), 205-237. Lybbert, T. J., Galarza, F. B., McPeak, J., Barrett, C. B., Boucher, S. R., Carter, M. R., … & Mude, A. (2010). Dynamic field experiments in development economics: Risk valuation in Morocco, Kenya, and Peru. Agricultural and Resource Economics Review, 39(2), 176-192. McPeak, J., Chantarat, S., & Mude, A. (2010). Explaining index-based livestock insurance to pastoralists. Agricultural Finance Review, 70(3), 333-352. Chelang’a, P. Vincent, A., Kone, D., Duncan D., & Jensen, N. (2018). Pastoralists’ Access and Use of Indemnity Payouts made by the Kenya Livestock Insurance Program (KLIP). pdf.